A bartender refers to an individual who designs or formulates and offers an alcoholic as well as other soft drink beverages behind the bar. Generally, bartenders are tasked with responsibilities of mixing and serving beverages to clients. Their main workstations include bars, restaurants, and other licensed sites. Their incomes in many countries generally depend on their tips. Unlike other occupations, bartending is quite critical in a number of ways. For instance, it is the responsibility of the bartenders to ensure that they serve a client who has attained the age of the majority, or rather the legal drinking age stipulated in their local laws. In addition, the bartenders are legally tasked with the responsibility of denying extra drinks to already drunk individuals in some nations such as Sweden and Canada. Some years back, bartending was perceived to be a low repute profession. It faced a lot of ethical challenges and legal constraints in relation to serving alcohol. The seriousness in the profession surfaced in the 19th century. Its image was elevated by Professor Jerry, an artistic professional. The first bartending manual was written by Harry Johnson, a professional who later established the first ever bar management consulting agency. In this light, it is prudent to examine various aspects of this profession. Do you aspire to be a bartender? Well, this is a wonderful profession but requires a mix of skills and abilities. In fact, it necessitates some soft skills that not each and every person can serve up. Nevertheless, there is a help here if really this is your line of interest. 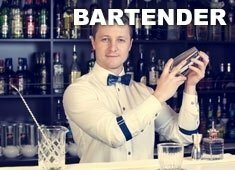 This section will cover a total of 13 tips on how to become a bartender. As an ambitious bartender, you will get a number of chances to not only develop but also hone your craft. However, it is prudent to acknowledge the fact that not all of them will be worth your time and consideration. Let’s look at the tips in this section. This sounds discouraging yet it is a practical point that will be quite helpful. Schooling in this regard may end up denting your career. It has set up individuals for disappointments already. The success in the profession heavily relies on experience. So do not think you can simply attend in a few weeks and expect to match bartending award-winning stars. This is not to say schooling is unnecessary. The point is, you will learn there important skills such as the standard pour but you may not graduate with what it takes to manage a boisterous Friday night crowd in the club. A number of successful bartenders say schooling was handy in getting them job immediately. It may be, however, prudent to attend bartending seminars such as BarSmarts. Nearly all the bars will be willing to hire individuals as barbacks if at all they are willing to carry weighty loads and run around. These guys are essentially bussers for bars. They play significant roles behind the scenes to avail bartenders with everything they need to serve guests to their delight. They have a number of duties, extending from keeping bottles to swapping kegs, to cleaning glasses. Being a barback will give evidence of your perseverance, humility, the desire to learn, and other necessary skills to the management. What is more, your name will appear first in the hiring list whenever an opportunity for the position comes. The age of the majority differs in different countries. In most cases, one must be of age between 16 and 21 years to legally serve alcohol and between 18 and 21 years to be fit for bartending. For instance, in the state of Ohio, it is a requirement that bartenders attain the age of 21 years. Therefore, it is imperative to consider the age requirements one needs to meet to tend a bar in your area. It is also worth noting that even though you may be of age legally to handle alcohol, several bars and restaurants set their own age limits for bartenders. Successful bartenders have not only successfully mentors but also great role models. Drawing lessons from the best are the most appropriate way of learning and will help you to become the best as well. Endeavor to be acquainted with more than simply the basics. Unpretentious drinks such as Long Island Ice Tea, and archetypal cocktails are very common knowledge but restricting yourself on that limits your dependability as well as earning capability if that’s all you know to prepare. If by any chance an individual asks you for menu suggestion, you should be in a position to furnish him or her with the impeccable beverage. However, that can only be possible if you have a good knowledge of taste profiles. The best way to make a good name in bartending field is by building your vocabulary. You must know what such vocabulary as a jigger, shooter, and neat mean. In light of the above, it is incontrovertible that becoming a bartender is never a walk in the park. The article has so far addressed how to become a bartender. The aforementioned tips will prove significant for those who aspire to be successful in this field. The remaining following section addresses how one can become a successful bartender without previous experience. Examine recipes for most common cocktails and as much as you can to memorize them. The common examples include Whiskey Sour, Bloody Mary, and Martini among others. This is an important step and will make you develop an urge to learn the ropes while learning how to pour. As outlined in the preceding section, there are some basic terms a bartender should know. The terms include words clients often use while ordering and may include among others neat, up and with a twist. You can buy some food and take time looking and what bartenders do and how they conduct themselves. It can be quite informative examining bartender’s moves and actions as they make drinks. If you discern a bartender is friendly, take time to share with him or her your aspiration and ask for tips. After getting familiarized with bartender lingo, time is ripe to seek barback job. Ensure that it is evident to places you may get the opportunity that you are much excited about the job. Once you secure the job, ensure you put a lot of seriousness in what you do. Keep time, appropriately dress and be ready to offer assistance whenever needed. Try not to get in bartender’s way and staff while they are busy. However, use the opportunity to cultivate a good relationship with them. By so doing, you are likely to get more involved. Finally, you have all it takes to be a bartender. Ensure you give back and do more to be even more successful than your predecessors. You have now known how to become a bartender. Let’s review now the job description. We intend to hire a passionate Bartender who will offer an outstanding guest drinking experience. Favorite bartenders will be in a position to make not only classic also innovative drinks beyond customers’ needs and expectations. Compensation will encompass salary and tips. Interrelating with clients, taking orders and serving them. Examining the needs of clients as well as their preferences and making recommendations. Designing and presenting a bar menu. Compliance with all regulations regarding beverages. 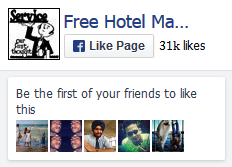 Now you have nearly all information regarding bartenders. But one of the most critical parts of this profession is the legality when it comes to age. The remaining part of this article reviews how old do you have to be to be a bartender task. As outlined earlier, age limits differ in various states. However, it is a very important aspect for consideration when thinking of how to become a bartender. One must be of age between 16 and 21 years to legally serve alcohol and between 18 and 21 years to be fit for bartending. The secret of being successful in this aspect is to research on age requirements of your locality or area of interest. What is more, it is essential to keep in mind that various bars and restaurants often set their age limits beyond the ones required by the authorities. You may meet the age requirements legally but still, fail on the limits established by the clubs. 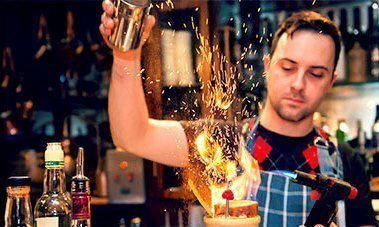 It is interesting to know that even though bartending started with a poor perception as a profession, it has evolved to be one of the most attractive options. This article has deeply reviewed the professional requirements as well as to consider to be successful. How to become a bartender is not an easy thing and may require a lot of determination. Nevertheless, you can be successful if you put to practice the material covered in this article. Be sure success will come your way as you diligently aspire to become a great bartender.